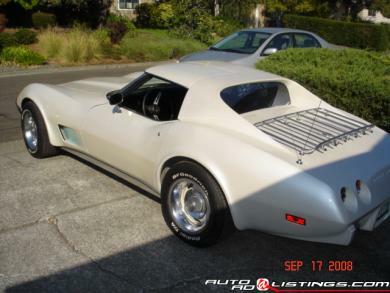 This is a 1975 Corvette Stingray. The car is in good condition. I have been working on it over the last 5 years. It has a new transmission with shift kit, v8 motor, tires and had the front end rebuilt. Just had the rear of the car repainted because I replaced the bumper. The inside is fine but I was gonna replace the seats and carpet due to wear and fadding. I ocasionally drive the car on weekends but it is a toy that I just don't need.